The $14 billion House auto industry aid bill failed in the US Senate tonight. On a somewhat but not quite related note, GM hired bankruptcy advisors as the Carpocalypse draws ever closer. 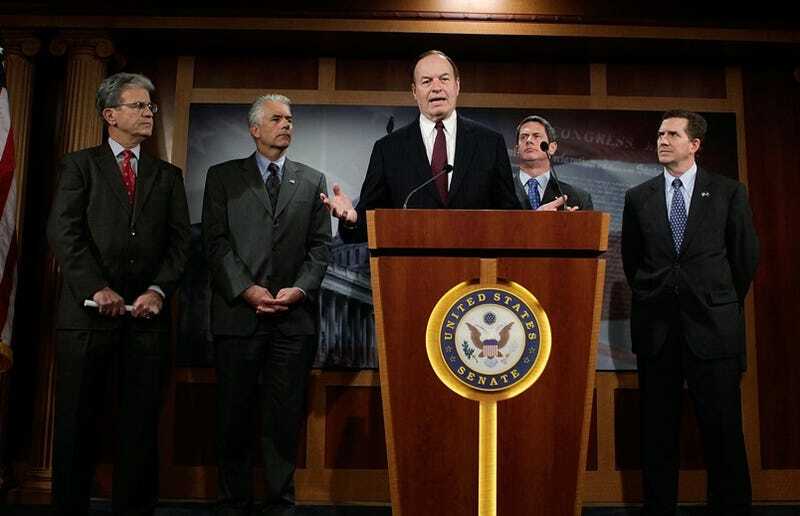 A bill to provide emergency loans to Detroit automakers is dead for now, Senate Majority Leader Harry Reid said late Thursday. "We have not been able to get this over the finish line," Reid said. Reid said he dreads what will happen on Wall Street on Friday. "It's not going to be a pretty sight,'' he said. He also said the failure of negotiations will mean a "a very, very bad Christmas" for many Americans. Hanukkah won't be too great either. Unless, of course, you happen to be Harvey Miller at the law firm of Weil Gotshal & Manges in New York. He's just signed on as an advisor to GM for possible bankruptcy. What a night, eh? Next up is the question of whether or not the Treasury Department will provide GM and Chrysler money from the TARP program. Our guess is if that's going to happen, it'll happen tomorrow during the day so as not to have the markets impacted any further going into the end of the year. We guess we'll find out tomorrow.